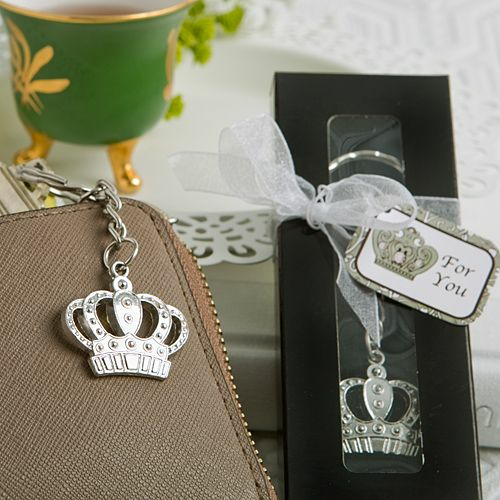 Give this silver crown keychain as a party favor for a royalty, fairy tale, prom, or kings and queens theme event. An all metal crown with a silver finish and metal keyring measures 3 inches, with just the crown measuring 1 1/8" x 3/4" . Each keychain is packaged in a black box with a clear top, a For You crown-theme card, and a white organza ribbon.